Unmatched in contract-growing capacity, our 35-acre wetland farm, leveraged by thousands of acres of contracted and permitted collection sites, supplies environmental projects with over 135 species of field- and greenhouse-grown herbaceous plants, shrubs, grasses and trees. As a contract grower, we can provide plant materials coordinated to meet all project, compliance and certification requirements. We also ship throughout the United States and Caribbean. All species of Osmunda are commonly found in moist to wet places such as woods, shallow swamps, bogs, stream banks, hammocks, and pine flatwoods. 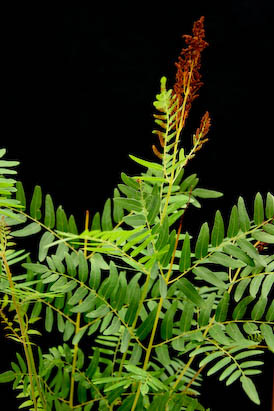 Osmunda are noted as very attractive ferns and are not invasive. Cinnamon Ferns are medium to large in size to 7+ ft. Abundant in Southeast, Zones 7+. Partial to full shade. Acid soil conditions. Quantity Discounts are available. Call for Details. Large fern, found in both freshwater or brackish habitats. Ideal for bank stablization. Rhizomes are large. Fronds may extend out to 7+ ft. long. Ferns grow along rives, marshes, swamps, lakes, and canals. Up to 10+ ft. tall in shade or full sunglight conditions. Sun tolerant ferns. 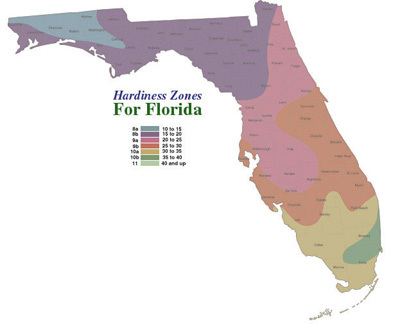 Zones 9+. All species of Osmunda are commonly found in moist to wet places such as woods, shallow swamps, bogs, stream banks and slopes, hammocks, and pine flatwoods. 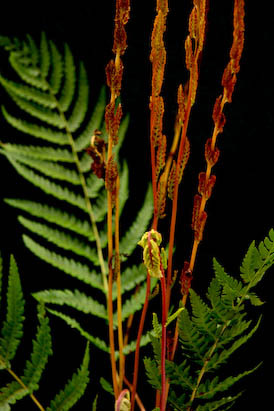 Osmunda are noted as very attractive ferns and are not invasive. 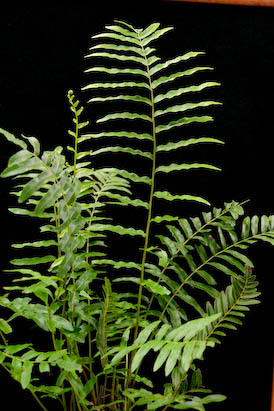 Royal Fern up to 2 ft. tall. Full or partial shade in wet, acidic soil. Commonly found in Southeast, Zones 7+. 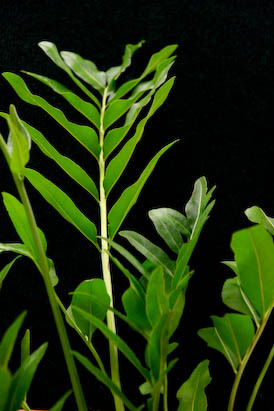 Medium to large sized fern growing in moist to peat or sandy soils. Grows 4+ ft. in various wetlands. Frequent in Florida. Grown in moist - wet soil in partial shade. Zones 8+. Home | Plant Inventory | Services | About Us | Contact Us © Copyright 2019 Aquatic Plants of Florida. All rights reserved.